Featured Session | Thursday, June 28 | 9:30 – 10:30 a.m.
Thoughtful learning and development strategy is a cycle that, if managed well, creates a continuous growth and improvement process for the organization. In this session Jenn Kammerdiener will step you through the critical path for ensuring your learning program feeds your bottom line (instead of draining it), equipping your learners to make learning their own, and bringing balance to the management of it all. Jenn is a 20-year veteran of learning leadership, strategy and design. She has the honor of working with individuals and teams just like yours every day – starting where you are. Jenn loves her work and is eager to share the best practices she’s picked up along the way in a casual, engaging, conversation-style presentation. Join us and we’ll have some fun! Jennifer (Jenn) Kammerdiener is a senior global learning and performance architect with more than 20 years of experience in learning and development strategy and leadership roles among various Fortune 500 organizations. 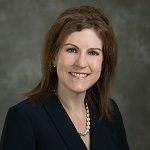 Prior to launching her business as a consultant in 2009, Jenn served as chief curriculum architect for Wachovia Bank and continued in that role during Wachovia’s merger with Wells Fargo. Since that time, Jenn has served clients across industries with a systematic approach to change implementation, curriculum planning and learning-path design, leadership of instructional design teams, and direct project management for critical initiatives. She and her instructional design teams have produced over 2000 hours of learning solutions for clients in the financial services, professional services, insurance, retail, digital transformation and health care industries. 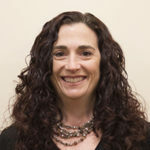 Jenn partners with AXIOM Learning Solutions as a practice lead for clients in the areas of change management, learning and organization design strategy, and on curriculum design engagements. Tina Dufour oversees AXIOM’s signature process of custom instructional design to delivery solutions and leads efforts in our program management, sales enablement and talent management areas. Prior to joining AXIOM, Tina was with Navis Learning (a BLR company) where she served as vice president, project management office and systems. She is a learning and development (L&D) executive with more than 20 years of experience in training from instructional design and development to project management and facilitation. Her experience spans a multitude of industries and audiences. Tina also has expertise in L&D project management, customizing learning solutions to meet the needs of any client, and people management. She has a proven track record of building strong relationships with all levels of the organization and influencing senior management.